As highlighted in previous posts, addressing your challenge as a ‘Propelling Question’ transforms it into a powerful idea generation brief. To generate breakthrough solutions that answer your Propelling Question, you then need to adopt a positive, generative and optimistic mindset using a deceptively simple yet powerful approach, called ‘Can-If Thinking’. ‘Can-If Thinking’ ensures you leave no stone unturned in seeking out new and exciting possibilities. You look to answer the Propelling Question by viewing it through 6 quite different angles of attack as illustrated in the framework below. This tool encourages you to maintain a spirit of possibility as each exploration starts with the phrase ‘We Can If…’ By generating potential solutions around each of the six spokes, you’re more likely to unearth something truly differentiating. To demonstrate the power of Can-If thinking, let’s home in on just one angle - ‘We Can If…... We Remove or Substitute’ - and show how this one approach is fuelling innovation within 3 different categories: Airlines, hotels and supermarkets. The ‘low cost’ airline category is built upon removing superfluous elements to enable keener headline ticket prices. Nowadays, items such as food, refreshments, allocated seat numbers, baggage and priority boarding are all optional (payable) extras. However, removal alone is not always enough on its own. What’s even more powerful is to substitute what you’ve removed with something more enticing. South West Airlines, the Texas based pioneers of the category, have substituted these elements with what they call ‘outrageous service’ This has enabled it to become one of the most ‘highly recommended’ airlines in the world. The removal option is not just confined to the low cost / low price sector. Virgin Atlantic Upper Class have significantly reduced the hassle of checking in, by substituting it with ‘rock-star’ service. Check in takes place in the back seat of the chauffeur driven limousine which transports you from the comfort of your home via a quiet side entrance at the airport, to a super cool playground, the Virgin Lounge. All this, before you’ve even boarded the plane. CitizenM is a hotel chain that creates contemporary luxury experiences at affordable prices. To enable this, they’ve removed all the frilly stuff you often find in hotels – minibars, paper receipts, robes and slippers, and focused in on the more important stuff such free Wi-Fi, in-room technology, crisp bed linen and cool lounges. 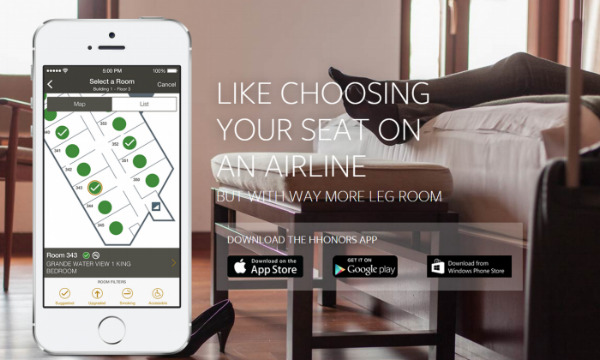 Hilton has responded in a different way by creating the Hilton Honors App which smooths out the entire hotel experience by removing all the hassle right across the customer journey. The App allows you to choose your room when you book, check in, order food in advance and check out remotely. It even acts as a room key. No waiting, no queuing, no effort! Supermarkets are continually improving the shopping experience by eliminating as much hassle as possible. Today, self-scanners are ubiquitous as are self check-out tills. One of the most intriguing developments in recent times is Amazon’s entry into the category with ‘Amazon Go, which is currently on trial in Seattle. It has removed all queuing and checkouts using what they call ‘just walk out technology’. All you need is the Amazon Go App. It’s amazing and just a little scary...the video explains how it works. In order to answer your ‘Propelling Question’ you need ‘to stretch your mind into new places by adopting ‘Can-If’ thinking, a simple and powerful approach for generating breakthrough ideas. One angle is to substitute an apparently essential part of the process or experience with something entirely different and superior, or else remove it entirely to add more value. To do this, simply break up your product / process / experience into each of its constituent parts and ask yourself: can we substitute this with something more compelling or powerful? Or can we simply remove it completely?